My name is TJ Hunt and I would love the opportunity to share my story with you! I grew up in a little town called Royal City in central Washington State. A rather unorthodox name for such a small, remote place, but a majestic name all the same, wouldn’t you agree? The name always baffled me. My story begins exactly the same as everyone else’s in this world. I was born to parents who loved me. Some people may not think this is the case, but it is not possible to have a child and not feel love on some level toward them. Love is in our very nature. I was born in a place called Othello, Washington, but moved to Royal City when I was five years old, just before attending elementary school. Having grown up around the LDS (Mormon) religion I began rebelling at a young age. Not to disrespect my parents or the theology, but I felt very caged in with all of the rules and regulations. Personally I believe if they were posed as ideals and concepts I would have adhered to them much more easily, but I am not here to nitpick how I was raised. I now see that everything about my upbringing was perfect and exactly what I needed to become the person that I am today. You come to realize that there are no accidents or “mistakes” in this world, only prospects to help you grow. For instance, I used to say that I had “nine lives” because there have been a number of times throughout my life where I could, or rather should, have died but something, which I now know to be God, kept me alive for a higher purpose. Throughout my youth I made tons of irresponsible and downright unconscious decisions, all of which were blessings in disguise, although they did not seem or feel like it at the time. You see, everything you go through is meant to be an opportunity to raise your consciousness, but a lot of them, especially when we are operating from a low level of consciousness, seem like nothing more than heart breaking and traumatizing experiences. Anyway, I became an athlete at a young age. Taking on collegiate style wrestling at the age of 8 years old, I wrestled for ten straight years and played football for six. I had the fortune of playing and wrestling for teams that competed on a state-wide level. The Royal High Knights won the state championship for football three out of the four years I was in high school and twice in wrestling, coming very close the years we did not obtain the titles. Football was by far my favorite sport. I was the starting varsity center my junior and senior years, obtaining all-state recognition and being ranked the “number one center in the entire state” on a sports ranking website called Washington Preps. Additionally I only weighed 190 pounds and for those who know football, you know that is very small for being a center, let alone a lineman. My strength and speed, however, made up for the size that I lacked because I was able to maneuver those I opposed more easily than most because of my explosive nature and near-violent temperament. I only say this to transition into the next part of my story. My senior year I played center for the title championship in which we won. I cannot even describe the feeling of winning the state championship along with comrades and friends I had played alongside for six years, most of which I knew since kindergarten. This was in harsh contrast to how my wrestling career ended. During my freshman year at Royal High School I made the mistake of trying marijuana, which I now see was exactly what I was supposed to do and that it could not have been any other way, but to this day I regret that decision and cannot help but wonder where I might be if I had not made it. You see, after having wrestled for ten long years I fell short of the championship title on a personal level. For those who don’t know sports, wrestling is an individual one. You go out there alone and compete against a single opponent; very different from football. My decision to take up smoking marijuana did not affect my performance in football because it takes far less endurance to be a lineman in American football than it does to wrestle. Although a wrestling match only lasts six minutes in high school it is far more arduous than it is to be a lineman. Due to my drug use, which became far more prevalent during my junior and senior years, I lost strength from slacking on workouts and endurance from the damage smoking marijuana did to my lungs and esophagus. Anyway, what I’m getting at is that after ten years of investing my time and effort into a sport, I fell short of my goal and, in such contrast to the high I felt for winning the championship in football, I did not know how to process the loss and turned to drugs and alcohol, becoming a junkie and quite frankly a very despondent human being. This behavior continued until I met the woman I believe to be my personal savior, Cynthia Church. Without her I may not be alive today. She helped me to see that I was better than all of the drugs and criminal activity I was participating in, and that if I did not change my ways I would become something rather miserable. She and I eventually left one another and I dove into the drug scene once more. During this time I experienced something that would lead me to become the keen individual I am today. One day I discovered a video series on YouTube called Spirit Science, which I highly recommend checking out if you haven’t been introduced to it yet. This series discussed things like Sacred Geometry, meditation, consciousness, all things “spirit science.” If these all sound like foreign ideas to you I would suggest following the link to the first Spirit Science video, and checking out the home page of my website, in which I discuss similar ideas. To back up a little bit, when I was nineteen years old, around the time I decided to clean up from drugs and get a job, I developed a kind of social anxiety. This was very debilitating and a very negative experience, in my perception, although I have recently found gratitude for it as I would not be who I am today without having gone through it. When I first watched the Spirit Science videos it felt like I finally had a higher purpose to live for, something beyond my normal scope of understanding that would somehow lead me to my way of living. And it has. 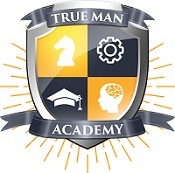 Thanks to an online life coaching program called the True Man Academy, which has been the final piece to the puzzle that is my life. I now see my purpose, and that is to write inspirational, educational, and overall illuminating material to shepherd the awakening. Click here to check it out! If you are unsure as to what the awakening is, look up Bodhi on Wikipedia. To give a brief description, my definition of the awakening is the illumination of the oneness of all life and that through mediation and personal growth each one of us can reach the same understanding and level of consciousness as Buddha, Jesus Christ, and all others who reached what is known as enlightenment. 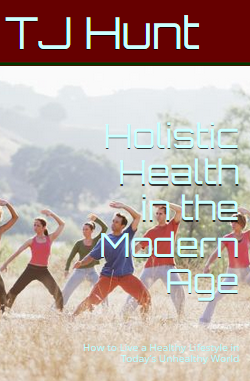 Recently I published a book on Amazon called Holistic Health in the Modern Age, which you can check out by clicking here. I am also a freelance writer and marketer, hiring my services both online and otherwise to those looking for an expert to get their jobs done professionally. I am currently working on a novel called Mirrored Dreams, a story of a paranormally gifted man haunted by his past, delirious about his present, and nervous for his future, discovering the vast power of interpreting his own dreams. I truly hope that my story has inspired and invoked some new perspectives within you. That is what I am here for. Recently I discovered through a process of contacting my higher self that my true purpose in life is to “make the world whole” which I now know I do merely by existing, but a deeper meaning I have attached to it has been to awaken and contribute to the world as much as possible. I implore you to seek out your true purpose, and whatever that is, the world deserves to hear your story!